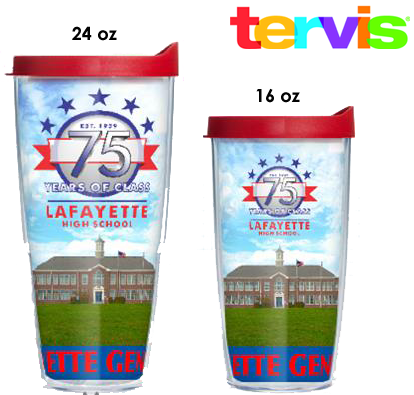 ﻿In honor of Lafayette High School’s 75th Anniversary, Lafayette Choirs are proud to sell Tervis Tumblers to commemorate the event. This high-quality, American-made drinkware is double-wall insulated, dishwasher safe and built for a lifetime of carefree sipping. 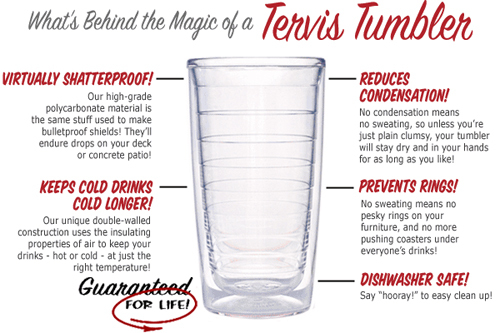 These are genuine Tervis Tumblers that come with a Lifetime Guarantee. 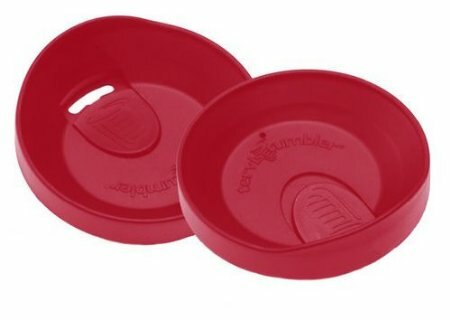 Each tumbler comes with a red travel lid. 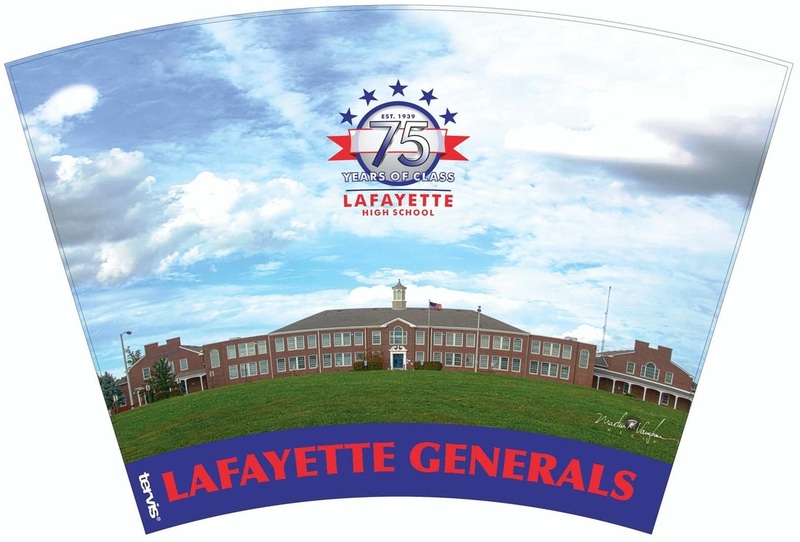 Please make checks to Lafayette Chorus Boosters and send to the choir office.